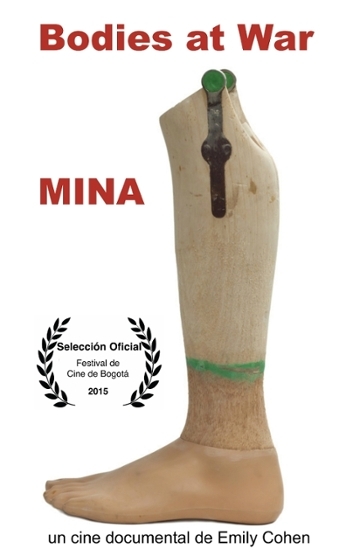 Assistant Director of the Science and Justice Research Center and Adjunct Assistant Professor of Sociology, Emily Cohen Ibañez, completed her first feature length documentary film, Bodies at War (MINA) which premiered at El Festival de Cine de Bogota in October 2015 where it was nominated for a Unicef Award. Colombia's Contagio Radio recommended it as one of the top films to see at the festival. Bodies at War (MINA) will screen at UCSC on February 12th, 2016. For more information, click here. Dr. Cohen Ibañez was recently awarded the Wenner-Gren Foundation Fejos Fellowship in Ethnographic Film to complete her second feature, Virtual War: Memories of Abu-Ghraib.